When we talk about buying cosmetics in American drugstores, what brands come into your head? Probably L’oréal, Revlon and Maybelline are among the ones you remember, right? The good news is that drugstores brand selection goes far beyond these names – and it’s growing every day. 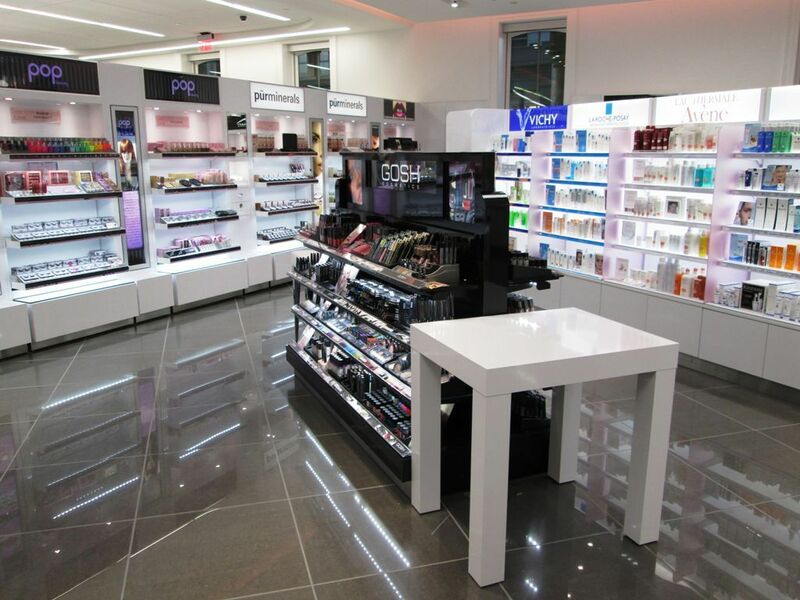 New names take over the shelves in the makeup, hair, body and skin care sections. As I am in favor of always getting out of the obvious and testing new products, today I want to point out to you 5 drugstores brands that are worth your attention – and investment. PS: As a matter of curiosity, when I talk about drugstore brands, I’m talking about famous chains like CVS, Duane Reade, and Walgreens, but even Harmon and Target are included! No 7 – if you’ve ever had a chance to travel to London and visit a Boots location, maybe No 7 sounds familiar. This brand, which primarily offers skin care products, was launched by Boots in 1935! Its concept is quite interesting: it was the first brand to democratize the beauty market in the UK by bringing premium products at affordable prices to British women. The range of products is extensive: it has everything you need for a skin care routine, ranging from cleansers to treatments. Foaming Cleanser Beautiful Skin, for normal to oily skin. It is gentle and my skin feels refreshing. $9,99 on average. Early Defense Serum, Suitable for sensitive skin, it reduces the first fine lines and provides a glowing skin. Love it! The formula is lightweight. $24,99 on average. Where to buy? Duane Reade, Walgreens, Ulta, and Target. Soap & Glory – another brand from England, sold at Boots and is also available here in the US. The focus is on body care products, but the line also includes makeup and skin care. The design is fun with vintage packaging. And the fragrances are delicious! Formerly, it was sold at Sephora, but later it changed its position, lowering prices. Face Soap And Clarity Facial Wash – this cleansing gel was, for a long time, my favorite! It is wonderful for those with oily skin. It has spheres that help exfoliate the skin. Not to mention that the packaging is huge – that is, great value for money. $12 on average. Sit Tight 4-D – it was developed to help stimulate skin around the thighs, hips and bottom by delivering slow-release microencapsulated ingredients. With sweet orange oil to help revitalize and tone the skin and a fragrance blend with aromatic essential oils including petitgrain, lemongrass, rosemary, eucalyptus, ylang ylang, elemi, lime & palmarosa. t is normal to feel a slight warming and tingling sensation after application. $24 on average. Where to buy? Duane Reade,Walgreens, Ulta, and Target. Eva Nyc – the brand was launched not so long ago. Based in Brooklyn, they offer hair care products. The main idea is to offer professional, trend-inspired hair care products with ingredients-based formulas that keep hair strong and healthy – Argan oil is one of them. In addition, the fragrance is irresistible. All this for affordable prices – and the products really work. I have had the opportunity to try several products and loved them! Therapy Session Hair Mask – moisturizing mask that will last forever, since the packaging is huge – it will take a long time to finish it! The formula has Argan oil. $15 on average. Freshen Up Dry Shampoo – I am a heavy user of dry shampoo and Eva Nyc’s has always been among my favorites. $12 on average. Clean it Up shampoo & Soften Up conditioner – shampoo and conditioner that also worth, since each one has half a liter! The formula also has Argan oil. $9 each on average. Where to buy? Harmon, Ulta, and Target. Nanogen – it is the UK’s Leading Hair Thickening Brand. It was launched here in April, and the products promise a thicker, healthier hair from the very first wash with instant shine and volume. The formula support and stimulate the natural processes found in hair to maintain healthy hair growth, keeping the hair and scalp healthy. Nanogen brought 4 products to USA: shampoo and conditioner, 5 in 1 for men and Root Boost Hair Thickening Spray. I had the opportunity to try the shampoo and conditioner and I can not say much about the growth factor – but I can say that it is certainly the best shampoo and conditioner combo I have ever used to give volume to my hair. I have very thin hair, so I love using everything that promises to change this scenario a little bit and every time I use these products, my hair becomes denser and fuller. I really loved it! Love Beauty and Planet – it is a brand with eco-friendly formulas and affordable prices. The collection includes body and hair products. The bottles are 100% recycled. The aromas are composed of natural oils and extracts, and the brand is entirely vegan and free of silicones and parabens. There are lines for colored, damaged, fine hair, among others – using ingredients like Argan oil, lavender, and coconut oil. Average price: $7 to $12. Murumuru Butter and Rose Blooming Color Shampoo & Conditioner – another pair of shampoo and conditioner that has an amazing price – almost half a liter of product in each bottle. The Murumuru line is great for those who have colored hair and has a super moisturizing formula – and the best, with ingredients faithful to the appeal of the packaging. 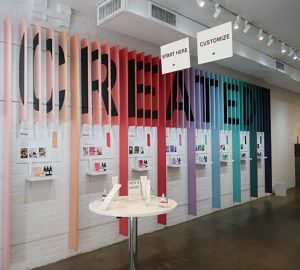 Recently, the brand expanded the range of products and inserted items such as bar soap and body butter. Among the launches, I highlight the natural deodorants, without aluminum, and Body Hydro Gel, super refreshing. Where to buy? Harmon, Ulta, Target, and CVS.